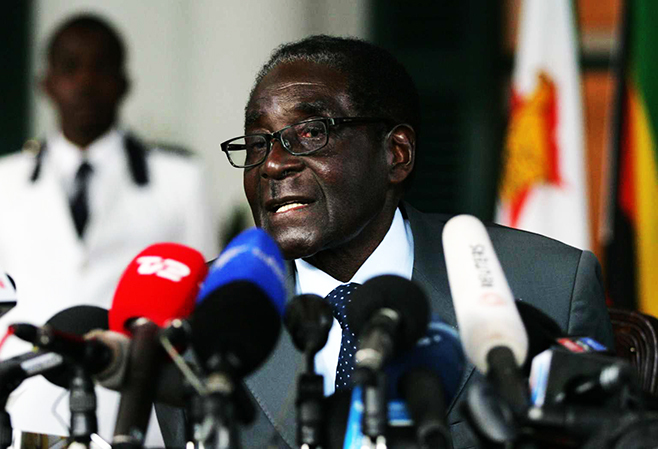 ZIMBABWE – Zimbabwe teachers have accused the Robert Gabriel Mugabe-led government of not being sincere in its dealings with them. In a statement issued on Monday, the Zimbabwe Teachers Association, (ZIMTA), criticized the government for failing to reinstate teachers whose salaries were stopped following a staff audit as it promised. Reports say the government had at a government and workers consultation held in late August promised to reinstate affected teachers in 48 hours. ZIMTA president, Richard Gundani, said the failure to reinstate the teachers is a sign of inefficiency on the part of the country’s Public Service Commission (PSC) and Labour Minister, Prisca Mupfumira. “Zimta is alarmed and seriously agitated by the levels of inefficiency and unprofessionalism being exhibited by the PSC and Public Service, Labour and Social Welfare Ministry and the Ministry of Primary and Secondary Education in addressing matters affecting teachers who have been de-registered from the government payroll,” Gundani said. “Contrary to the Commission’s announcement, that teachers who proved that they were not ghost workers would have their salaries reinstated within 48 hours, evidence on the ground is showing something totally different. Gundani hinted a possible industrial action if the teachers’ salaries are not paid. “As schools open, on Tuesday the 8th of September 2015, the Union can no longer adopt a wait and see attitude, as teachers will be forced to return to work without money,” he warned. “Failure by the authorities to reinstate salaries on time is an infringement on the workers’ rights, and in particular on the workers’ labour rights to a decent wage for a decent job”. Student Pulse gathered that Mugabe’s government has been struggling to pay civil servants salaries and recently started plans to cut down its workforce.